Seat tells us that it is set to launch the new generation of the Alhambra. It says that the intelligent and versatile MPV is up to 15 per cent more fuel efficient thanks to its new engines and even more dynamic thanks to increased power output. The Alhambra will have new comfort and assistance systems, as well as innovative connectivity and infotainment offerings. The line-up of diesel engines has been completely redeveloped. All drives fulfil the stringent Euro 6 emissions standard. The turbocharged direct-injection units are also up to 15 per cent more fuel efficient. The Alhambra TDI with 115 or 150 bhp, for instance, is at the very forefront of its segment with fuel consumption of 4.9 litres/100 km and 130 grams of CO2 per km. The new car will go on sale in Ireland in August with pricing set to be announced closer to the on-sale date, but likely to be in line with the current pricing at less than €40,000. For Ireland, the new Alhambra will be offered with a choice of two 2.0-litre diesel engines. with two power outputs. The 2.0 TDI engines are offered with 115- and 150 bhp, with the latter available with the option of a DSG transmission. As with the outgoing model, there will be a choice of ‘S’ and ‘SE’ trim. The multi-collision brake is also standard equipment in the new Alhambra. In the event that the driver can no longer intervene following an accident, it initiates automatic braking to avoid a secondary collision. New to the line-up is the blind-spot sensor, which warns of vehicles in the blind spot when changing lane. The new massage seats also deliver an exceptionally high level of long-distance comfort. The Alhambra’s design has been subtly updated. New rear lights with LED technology display SEAT’s distinctive light signature, which underscores its family connections, as do the new brand logo set into the modified front grille and the new wheel designs. The new Alhambra is evidence of Seat’s consistent commitment to product development while Seat has also invested significantly in a new and improved dealer network ensuring sustained growth for the brand. 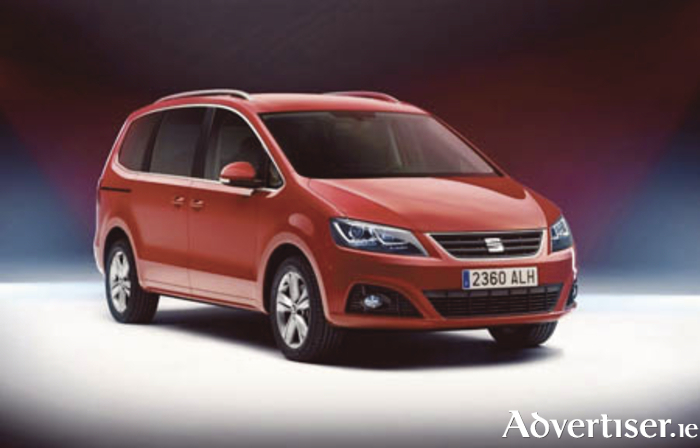 The new Seat Alhambra will be available from September.